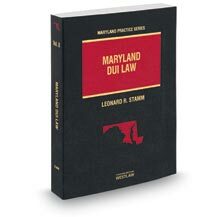 If charges filed against you in Maryland state courts were nolle prossed, stetted, dismissed, or if you received a not guilty, or a probation before judgment (but not for a DUI) you may be eligible to have your arrest and court records expunged. This can be done easily in many cases without a lawyer, although occasionally a prosecutor will object to an expungement and a lawyer is necessary to argue the case. The attorneys at Goldstein and Stamm have many years experience filing for expungment of criminal and traffic charges.